Java 8 added support for Lambda Expression . So what exactly are Lambda Expressions ? 1 ) If the method takes only one parameter , then we do not need to use parenthesis. 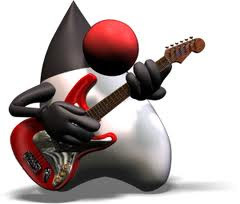 2 ) We do not need to specify the type of parameter , it will be inferred automatically by java . so we do not need to write (Person p1 , Person p2 ) instead of (p1,p2). 3 ) The Interface must be Functional Interface . A functional interface is a kind of interface which contains only one single abstract method .In this example , Collections.sort method takes a Comparator as parameter , Comparator Interface has only one single method , so you can directly implement it without specifying its name using lambda . 5 ) If you want to use variable declared in the enclosing method , you have to declare that as final . Hers's the complete java program example for Lamda Expressions in java .